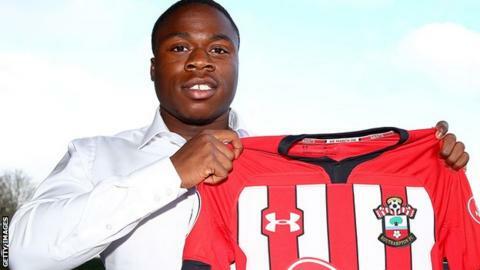 Southampton striker Michael Obafemi has signed a new three-and-a-half-year contract with the Premier League club. The 18-year-old Dublin-born Academy graduate joined Saints from Leyton Orient in 2016. He made his debut against Tottenham in January 2018, the second-youngest player - after Luke Shaw - to play for the club in the Premier League. Obafemi became Saints' youngest goalscorer in the competition with his first senior goal at Huddersfield. "I'll always be thankful to the club for sticking by me, and I just want to show everyone what I've got," said Obafemi, who made his Republic of Ireland debut as a substitute against Denmark in November. Saints boss Ralph Hasenhuttl said: "Young players like Michael represent a big part of the future of Southampton, so this is an important day for him and also for the club."